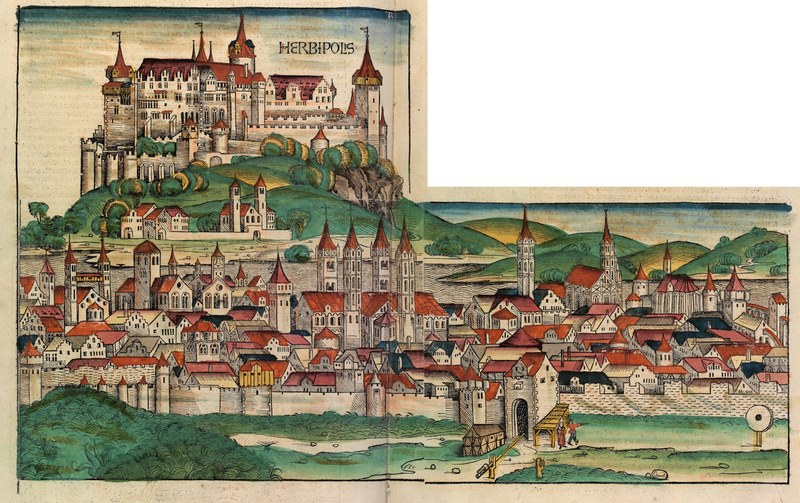 Introduction: Over the course of about a century, from around 1120 to around 1220, the canons of St. Kilian, caretakers of the Neumünster church in Würzburg (with its sacred grave and relics of the Franconian apostle St. Kilian) had frequent – one might even say constant – business dealings with the Jews of that same city. Most of these economic interactions involved land: the transfer of property, mostly in the city, from one party to another, either from the Jews to the canons, from the canons to the Jews, or from a third party to either the canons or the Jews with the other acting as another agent in the transaction. Put together, the sources detailing these land transactions approach the richness of, for instance, the Schreinskarten of the parish of St. Lawrence in Cologne, one of the key sources for Matthias Schmandt’s excellent study of the Cologne Jews. Despite thorough explorations by mostly German scholars on the spread of Jewish settlements throughout the Reich and on specific Jewish communities, most scholars have not looked at the economic interactions that accompanied settlement and development from the perspective of the Christian institutions involved in these interactions.